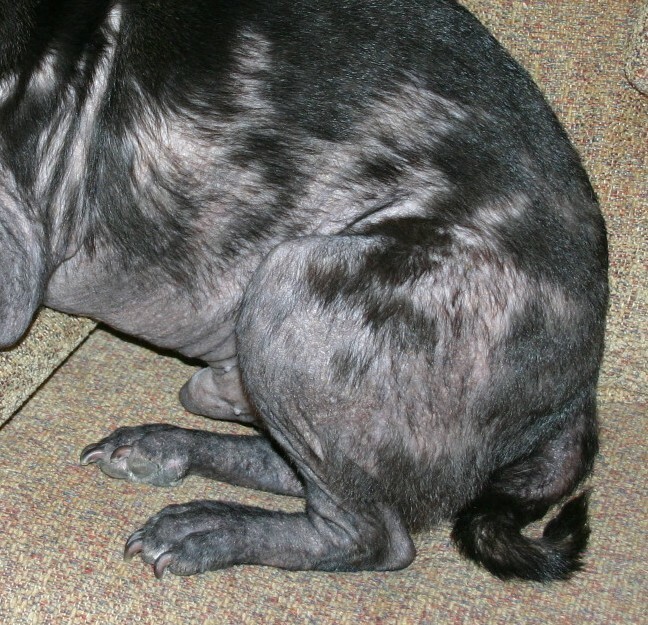 Usually a problem in young Pug puppies, this mange, caused by the Demodex mite, appears as patchy hair loss in 1 or more areas. 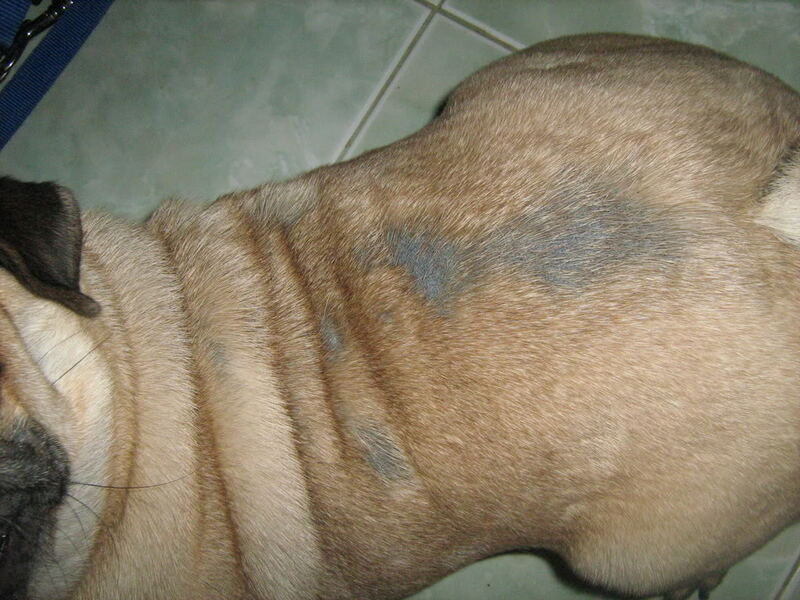 The skin is sometimes pink and there may be an odor. 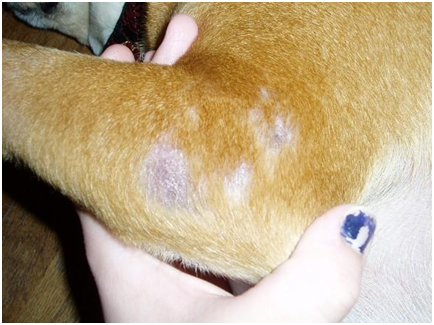 There can be a secondary bacterial infection associated with this disease which can make the condition itchy. 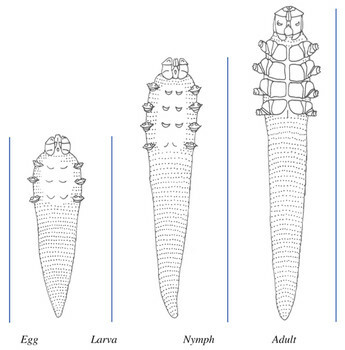 It is diagnosed by a deep skin scraping. It is not thought to be contagious. There are many treatments available. 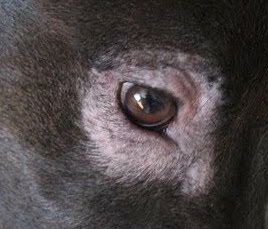 It is thought to “run” in families so dogs that are affected should not be bred, especially if they have more than 1 or 2 small patches as puppies. 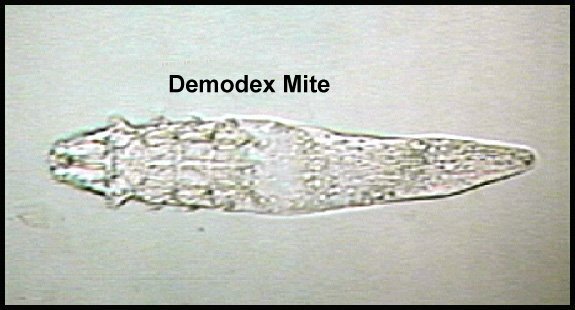 Demodex can appear in older dogs but they often have compromised immune systems or other diseases as well.